Skip the line to the extremely popular Eiffel Tower! 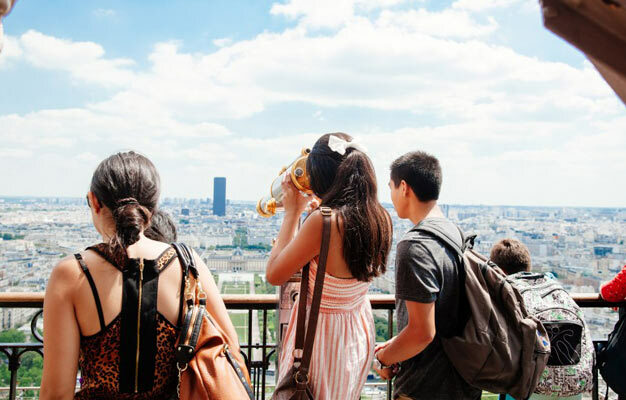 Visit both the 1st and 2nd floor of the Eiffel Tower together with your tour guide and get tickets to the highest point, the Summit! Our guide will take you straight to the second level while discussing the history, architecture, and fascinating stories about the iconic landmark. You will learn about monuments along the Paris skyline, historical events including its place in two World Wars, and its role as a playground for countless daredevils. We offer small tour groups, so you are assured a great personal experience. The tour includes tickets to the Summit, so after your tour you are free to go right to the top of the tower to explore the summit at your leisure. Shortly after your booking is complete your e-ticket will be sent directly to your email, just print it out and bring it with you to the Eiffel Tower. The tour starts at the Eiffel Tower. The address will be on your e-ticket. Please be there 15 minutes before your tour starts. The tour lasts 2 hours, plus however long you wish you spend at the Summit on your own after the tour. From where do the cruise depart?